ABSTRACT: Consistent evidence of evidence-practice gaps has led to increased interest in dissemination and implementation of evidence based health care. Implementation models (for example, the Knowledge To Action cycle) highlight the importance of developing interventions based upon an understanding of the likely barriers and enablers to care. This suggests that the effectiveness of dissemination and implementation interventions is likely a function of the validity and comprehensiveness of the barrier and facilitator assessment, the mapping of effective intervention components to address the identified barriers and enablers, the fidelity of intervention delivery and the absence of unrecognised contextual factors that might modify the effects of an intervention. This suggests that careful intervention development (building upon theory and extant knowledge) that identifies potential barriers and intervention components (that activate mediating mechanisms to overcome the identified barriers) and intervention optimisation using user-centred design approaches is essential. However, to date, most dissemination and implementation strategies have been developed using implicit models with little user testing. BIO: Dr. Jeremy Grimshaw received an MBChB (MD equivalent) from the University of Edinburgh, UK. He trained as a family physician prior to undertaking a PhD in health services research at the University of Aberdeen. He moved to Canada in 2002. His research focuses on the evaluation of interventions to disseminate and implement evidence-based practice. 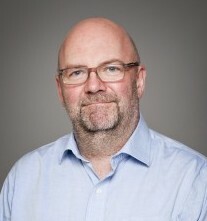 Dr. Grimshaw is a Senior Scientist, Clinical Epidemiology Program, Ottawa Hospital Research Institute, a Full Professor in the Department of Medicine, University of Ottawa and a Tier 1 Canada Research Chair in Health Knowledge Transfer and Uptake. He is Director of Cochrane Canada and formerly was the Co-coordinating Editor of the Cochrane Effective Practice and Organisation of Care group. He was also the Principal Investigator of Knowledge Translation Canada (KT CANADA), a CIHR and CFI funded interdisciplinary network of over 50 knowledge translation researchers from six academic health science centres in three provinces. He has over 450 peer reviewed publications.